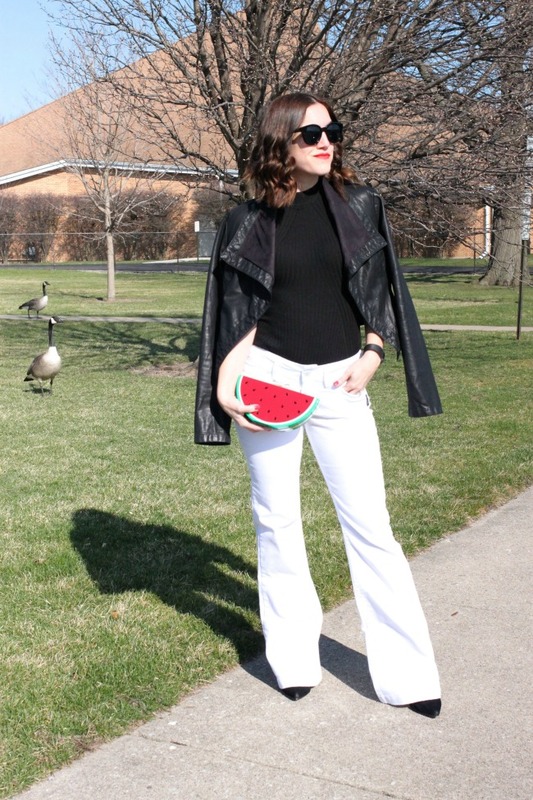 For my first time pairing my white flare jeans, I decided to keep things classic...black and white will never go out of style! 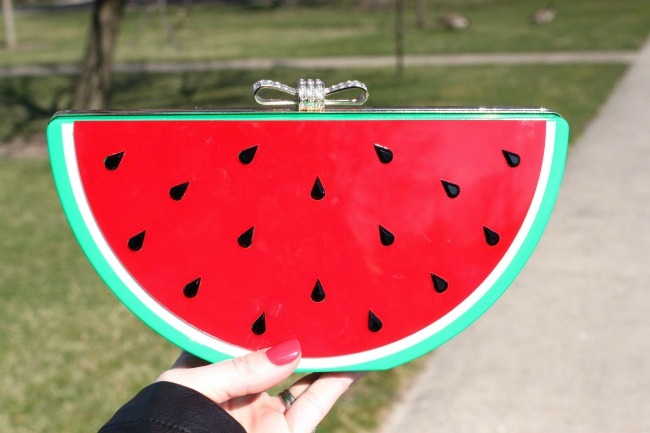 How adorable is this watermelon bag? I am in love! 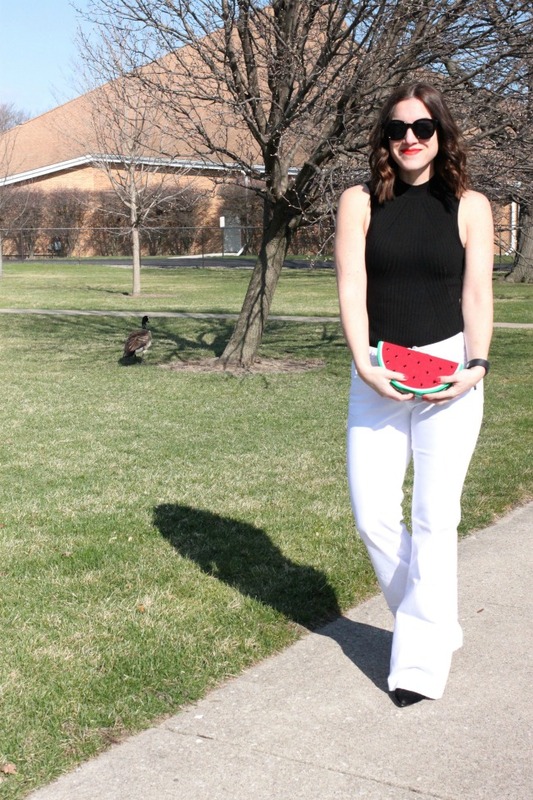 It was the perfect pop of color to add to my simple outfit (along with my red lip that is). This outfit was great for my errands and helping out at the school. My kids loved the bag too...they kept pretending to eat it. I love how cozy flare denim is as well. I was able to bend down and be on the floor and still be very comfortable. 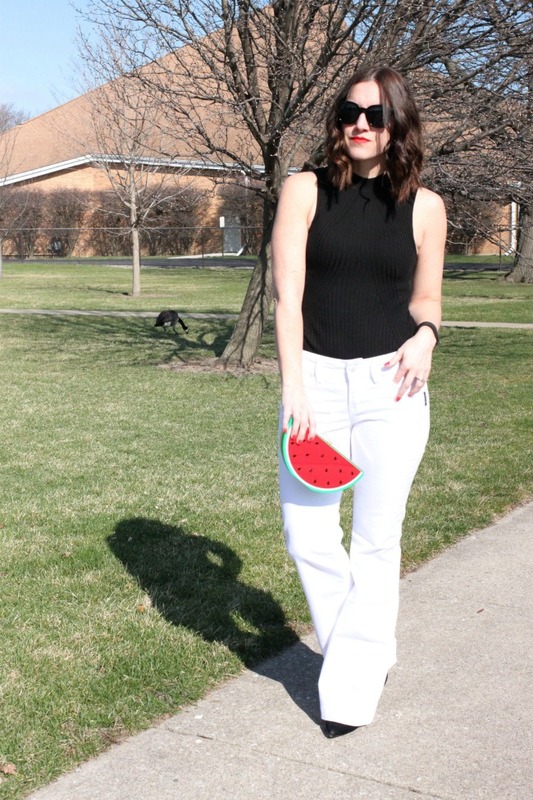 Are you a fan of flare denim? 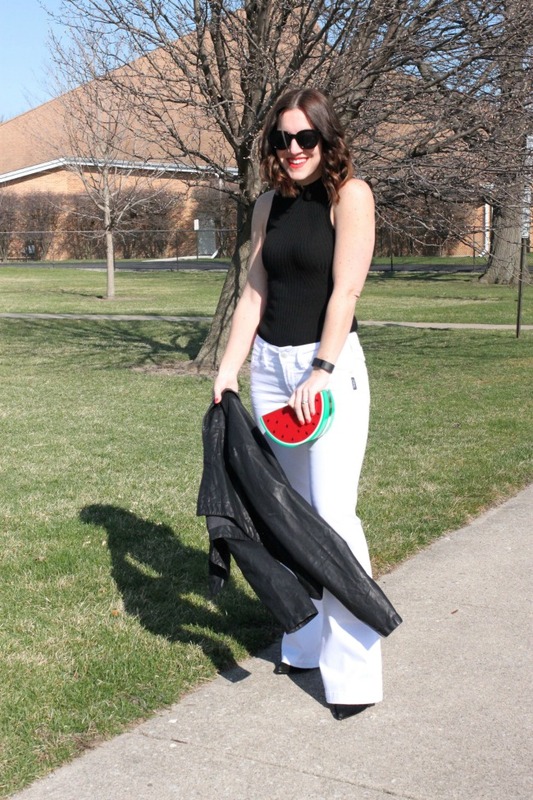 When was the last time you shopped at Silver Jeans?